When her needy and troubled mother began a slow descent into Alzheimer’s, Elisa Segrave faced a host of unenviable tasks– not the least of which was sorting through the chaos of her old childhood home. Although aware of aspects of her mother’s personal history– the privileged childhood, the early losses– Elisa had no knowledge of the life she uncovered in a box of diaries, stowed carefully in the attic. On those pages she encountered a woman of strength, passion, and purpose– a woman who left behind the sheltered world she’d always known to embark on a secret life of wartime adventure, intrigue and tragedy. 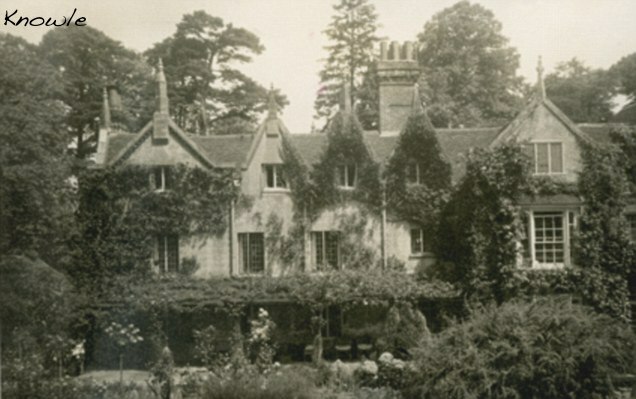 Elisa Segrave’s mother, Anne, was the daughter of Gladys and Raymond Hamilton-Grace, owners of Knowle– a sprawling and beautiful property located in Sussex, England. Although not part of the aristocracy, they were a well off family and her parents were madly in love. Tragically, Raymond never returns from WWI and Anne’s disabled brother is dead soon after the war is over. Gladys eventually marries another wealthy man when Anne is 5 and she is raised as a spoiled rich, pampered and indulged only child. Life is all finishing schools and fox hunts; balls and trips abroad; manor houses and servants (like Dowton Abbey! )– Anne never has to lift a finger to get what she wants. After a long line of suitors Anne settles down to marry Willie Segrave, a Naval attaché, and Elisa is the first of their four children. Elisa recalls a happy and loving early childhood, living the same privileged and spoiled life as her mother (at Knowle and abroad) until another family tragedy occurs– her closest brother (also Raymond) drowns in the pool at five years old. This causes Anne to shut down completely and become forever emotionally unavailable to her remaining children. Elisa spends the rest of her childhood trying to win her mother’s affection (which never happens) and she ends up an extremely bitter adult because of it. By the time she starts her own family she is has unsympathetically written Anne off as a selfish, cold and distant alcoholic and is to the point of despising her own dead brother’s memory. There is no merry meadow at our new home. My mother no longer plays with me. It is Raymond’s fault. Elisa distances herself from her mother considerably after a final selfish act (Anne’s fondness for travel and drink takes precedence over supporting her daughter’s breast cancer recovery). Loathing does not seem too strong a word to describe Elisa’s feeling towards her mother. So, it is surprising that when Anne begins to show signs of Alzheimer’s it is Elisa who steps in to help. As Anne spirals deeper and deeper into the disease and is eventually placed into long term care, Elisa begins the tedious task of packing up the family home. She comes across something that she never would have expected– detailed diaries of Anne’s early life! Elisa is shocked to see a whole different side of her mother emerge. She soon discovers that a young and vibrant Anne voluntarily joined the Woman’s Royal Naval Services and was hand selected for a unique job as a spy code interpreter at the famous Bletchy Park (or Station X) during World War II. 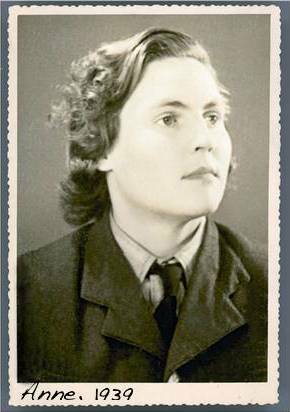 This was a specialist post where dedicated women worked alongside men to help bring down Hitler’s army. Although occasionally exhibiting the same selfish and childlike behaviour Elisa knows her mother to be famous for, this responsible, intelligent and dedicated Anne is opposite to every single perception that Elisa has ever had. Why did Anne never mention this portion of her life before? It was like reading about a totally different person. As Elisa works her way though the diaries she finds out other surprising tidbits about her mother that she could have never guessed (intellectual musings on the war’s effect on London and her beloved Knowle, a long list of men who proposed to her, risqué premarital sexcapades and (most shockingly) Anne’s obsessive attraction to other women). When the war-time diaries end Anne only finds time to keep a diary while travelling and Elisa is treated to reliving family vacations taken during happier times– when her mother still cared and the family was still whole. The last (hidden) diary included a collection of Raymond Memorabilia (toys, drawings and photos) and it is enough to break your heart in two when you realize how Anne never really got over the loss of her child. As intrigued as I was when the book first arrived, I admit that it was a tale that I had to put down several times before I could get to the end. The story, while interesting, was written in a very choppy and almost one-sided way. Anne was the author of the diaries but it was Elisa who chose the excerpts to be shared and interjects her own interpretation of what was written a little bit too much (IMO). I am not sure that the diaries, as written, would be interesting enough on their own for someone who did not know Anne personally but the opinions expressed by Elisa seemed to be meant to show her mother in the most negative way possible. Bitterness oozes from every page. I was hoping for more in the way of London during war-time and information about what Bletchy was all about (that was left for Google). 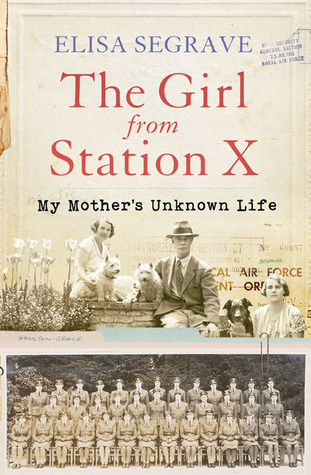 The Girl from Station X does not end with the warm and fuzzies– a lifetime of bitterness cannot be eliminated that easily– but writing this book does seem to have been therapeutic for Elisa. It gave her, at the very least, a more complete picture of who Anne actually was before she became the self-centred, alcoholic, grieving mother Elisa was most familiar with. Even though there can never be a reconciliation between them (Anne passed away in 2003) I thought that the story did end with a small tinge of hope that there could eventually be forgiveness. 3 stars.